Openness to new ideas, using the latest technologies and innovative approach to the already known solutions can bring extremely beneficial effects. This philosophy became the reason behind the changes made to the application for control of the alarm system based on the INTEGRA and INTEGRA Plus control panels. The first change, every user of this application can see is its new name. On 27 May 2016, the name of MobileKPD was replaced by INTEGRA CONTROL. One of the reasons for this modification is the need to harmonize terminology regarding the other SATEL mobile applications (MICRA CONTROL and VERSA CONTROL). The main objective, however, is to highlight the improvements and technological changes that have been made to the application. The second change can be found inside the application and, to be exact, in its interface, which has been improved in line with the current design and functional trends. 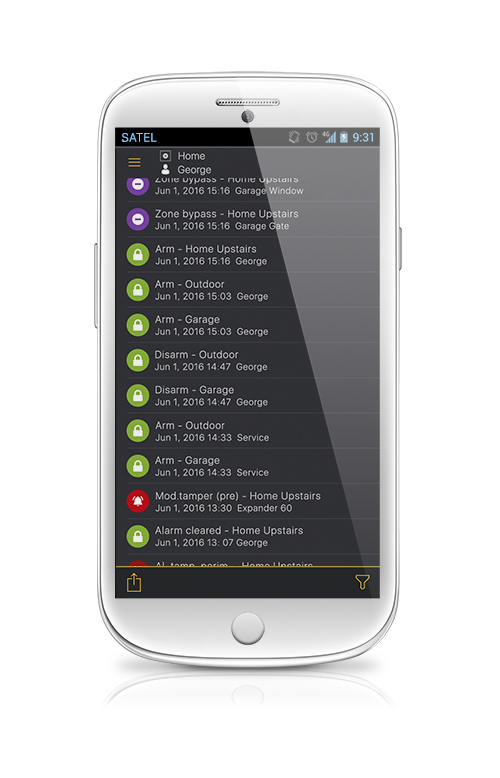 The so refreshed application offers even more intuitive operation of the alarm system and, thanks to some changes in its appearance, its use is even more enjoyable. 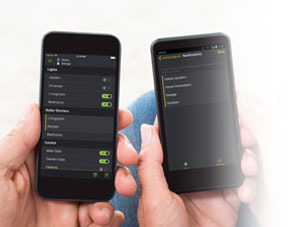 The new interface of INTEGRA CONTROL is also more user friendly when it comes to using all available functions. The new version of the application also provides new features. 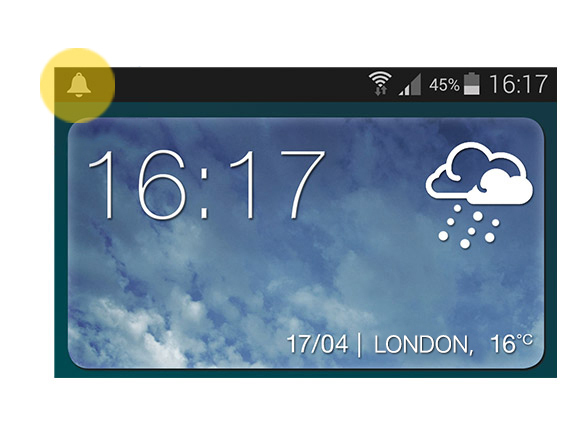 The first of them are PUSH notifications, which allow both the user and the installer to receive information about all or selected events. This service runs in the background so the recipient can be informed in real time about what is happening in the system. 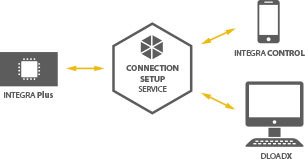 Another new feature is the ability to use the SATEL provided connection setup service, which offers encrypted, fully secure connections. It makes possible remote connection to the control panel without having an external IP address and performing any network configuration operations. 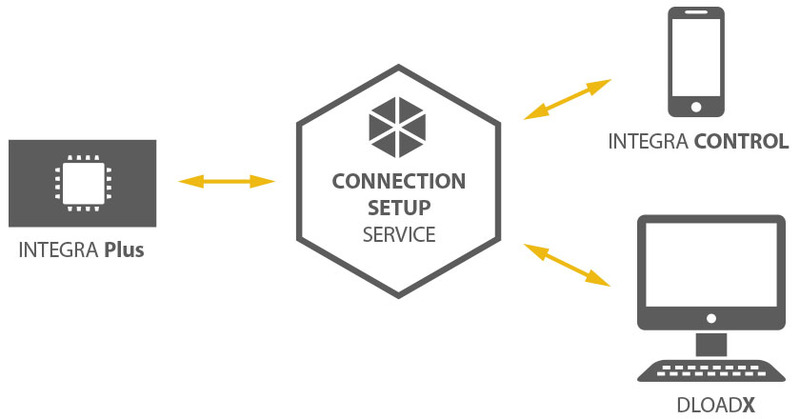 The connection setup service is only available when the ETHM-1 Plus module version 2.02 is installed in the alarm system. If the system includes an older version of the module, the application will work, but this service will not be available. 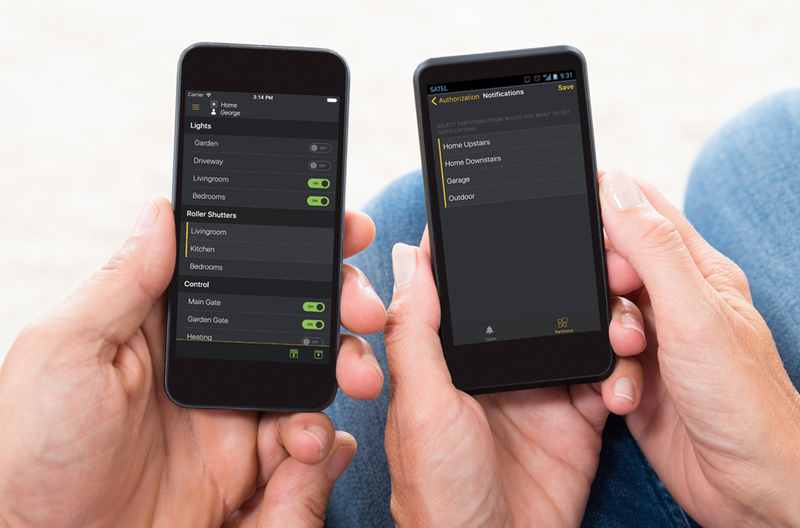 Another big change made to the application is unification of the functionality of INTEGRA CONTROL versions available for both Android and iOS platforms. Eliminating any differences between the versions will provide access to all options for each user of the application, regardless of the system in which their smartphone or tablet operates. Currently, the application is available in the Google Play store. It will also appear in the App Store soon. 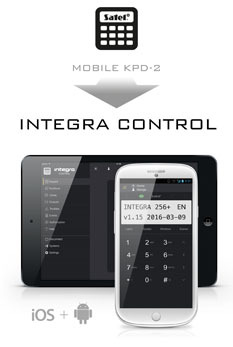 The INTEGRA CONTROL application is a successor of all MobileKPD application versions available to date, including the Pro versions. This means that they will still be working, but will not be developed and supported. The decision to replace them by a single application that provides enhanced functionality is due to, among other reasons, the ever-increasing popularity of smart alarm systems containing elements of home automation. This is why the INTEGRA CONTROL allows you to easily operate the Smart Home features, also using MACRO commands. Thus, you can run scenarios containing whole sequences of actions just by a single tap on the dedicated icon on your smartphone or tablet. You can change any version of MobileKPD to INTEGRA CONTROL application in a very simple way, just by downloading the update. Importantly, as the INTEGRA CONTROL is a free application, it is therefore easily available to all users of smart alarm systems based on the INTEGRA and INTEGRA Plus control panels. Get it therefore as soon as possible to enjoy its rich functionality that will allow you to easily control your system from anywhere in the world.